Step 1 In a wide pot or Dutch oven, heat the olive oil over medium-high heat until hot. Add the garlic and leek and sauté until aromatic. Stir in the mussels, tossing quickly with the hot oil. Step 2 Add the sambuca, scraping any flavoring from the base of the pot, then stir in the fennel, clam juice and cream. Step 3Cover and steam the mussels until they open, 3 to 4 minutes. Stir in the chile flakes, and season with salt and pepper to taste. Remove from heat and serve immediately. In Recipes-list.com we have selected the most viewed recipes from category - Appetizers Fish and shellfish . Enjoy the best recipes specially selected for you! 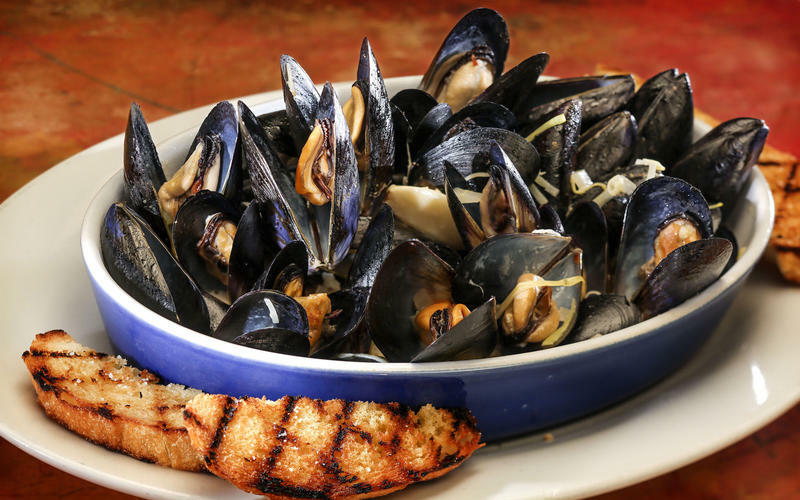 Giuseppe's mussels in sambuca is the right choice that will satisfy all your claims.